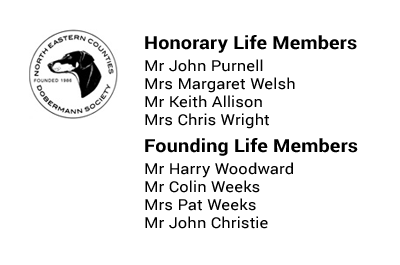 We are always delighted to welcome new members to the North Eastern Counties Dobermann Society, whether your interest is in showing, working, training or simply as a pet owner of a beautiful Dobermann. Our membership secretary, Joanne Sanderson is looking forward to receiving your application for membership. By default in applying to join as a member of NECDS you have confirmed that you agree to abide by the Rules, Constitution and Code of Ethics of NECDS. You can apply for membership immediately or renew your membership by choosing the type you require from the drop down box below and paying online. Note: there is a 50p surcharge for online payments which we are unable to avoid.